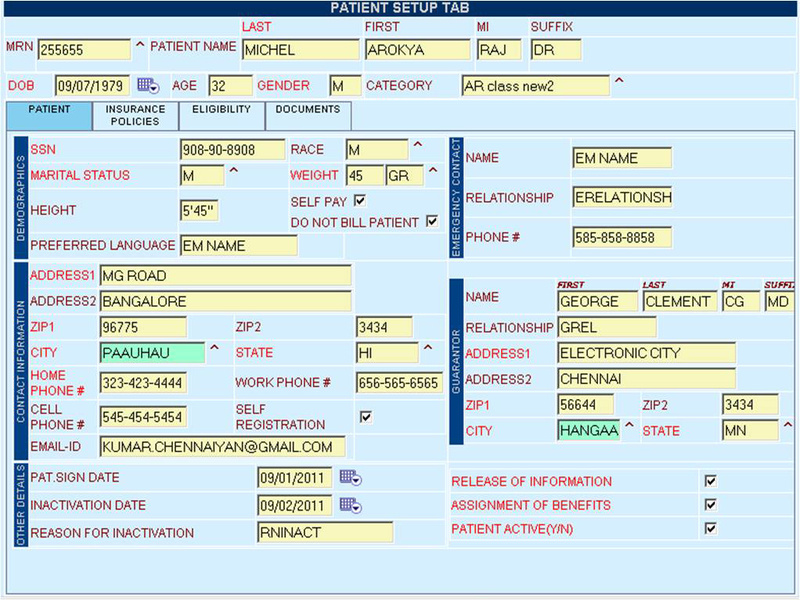 The Registration module provides an easy and flexible way to register new patient information such as Patient Demographics, Patient Address, Patient Policy Information, Patient Guarantor and Policy Subscriber info. 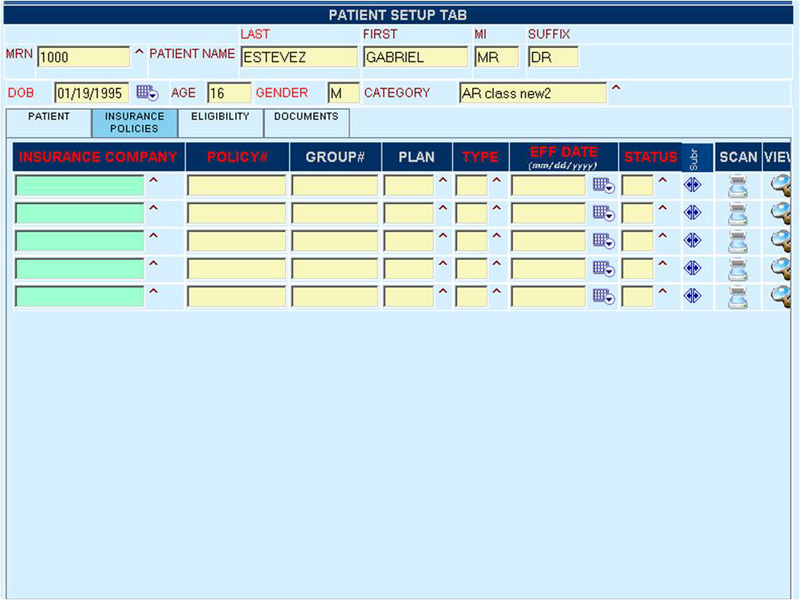 Automatic Medical Record Number for each new patient. Capture Demographic information required for reporting and claim submission. Patient Address info with Home Phone# and Cell Phone #. Patient Guarantor information with relationship and address info. Primary, Secondary and Tertiary Policy Information. Restricted Access to Modify Information.